What brings a student from Brazil to the art history program at LSU? According to Glauco Adorno, outstanding faculty and a graduate assistantship he could not refuse. After majoring in graphic design, Glauco worked as a designer in Brazil but found he was more interested in the theoretical and academic aspects of art. He started looking at Master of Arts programs abroad, seeking out faculty members who could help him develop academic research skills. Now he is about to complete his degree with a thesis on the life and work of Walter Lewy (1905–1995), a German-Brazilian painter and graphic designer of Jewish descent, who left Germany in 1936 to build his career in São Paulo. 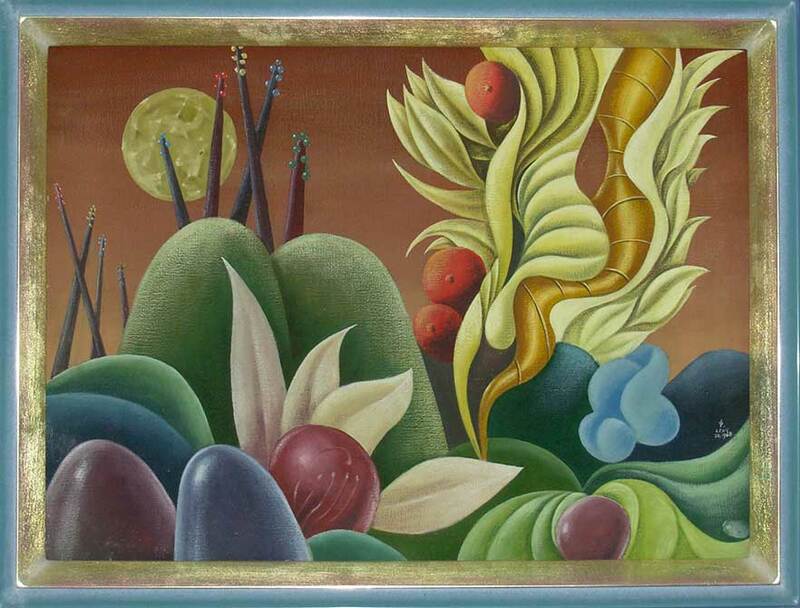 Lewy is best known today for his lush, exotic landscapes, whose bright colors and dream-like quality earned them a stylistic category of their own: “Tropical Surrealism.” Lewy studied at the School of Arts and Crafts in Dortmund, Germany, between the two world wars. His first solo exhibition was subject to Nazi censorship and had to be closed down, forcing Lewy to flee to South America. In Brazil, he first worked as a graphic designer, providing unabashedly modern illustrations for anything from poetry books to advertisement for Unilever. 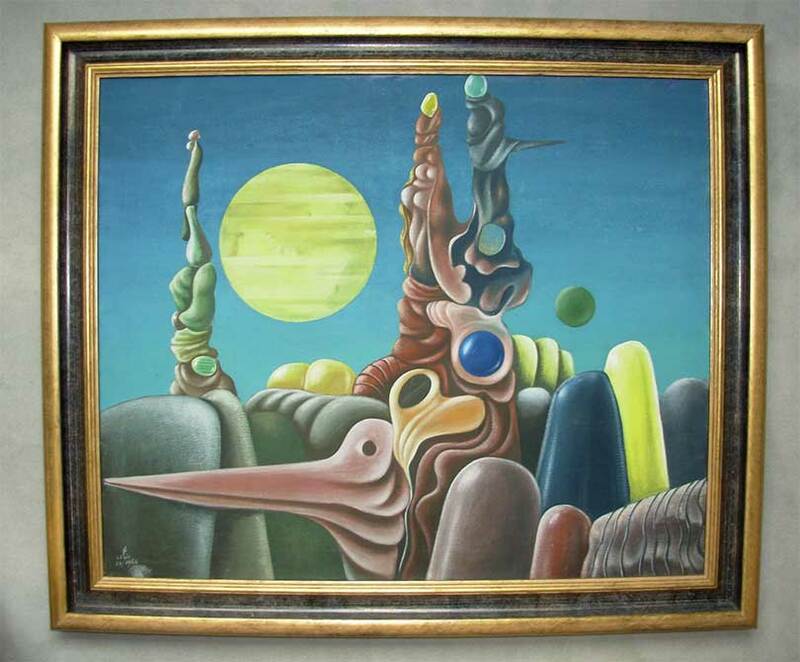 His career as a painter took off during the 1950s and 1960s, when he combined his surrealist style with idiosyncratic Brazilian scenery and vegetation, which immediately struck a chord with the public. Modernist aesthetics were very popular at the time, as the example of Brasilia, the new capital designed from scratch by Le Corbusier’s student Oscar Niemeyer demonstrated. Lewy was featured in numerous exhibitions in the city of São Paulo, including the internationally recognized São Paulo Biennial. He remained a fixture of the Brazilian modern art scene through the 1990s, when died at age 90, survived by his São Paulo–born wife and two children. Spieth added that the subject of Brazilian modernism has been given much more scholarly attention in recent years, as demonstrated by the New York Guggenheim Museum’s exhibition Brazil: Body & Soul, or the Centre Pompidou’s 2013 exhibition, Modernités plurielles. Glauco’s research was facilitated greatly by gaining access to Lewy’s unpublished papers and newspaper archive preserved by a private collector in São Paulo. Spieth has also contributed to the project by exploring Lewy’s archival traces in Germany and helping interpret German source materials. Glauco is studying intermediate German at LSU, but is thankful for Spieth’s assistance with the translations. “To date, as far as we could find, nothing has been written in English about Walter Lewy—an oversight I hope to correct with my thesis,” commented Glauco. During his tenure at LSU, Glauco worked as a graduate assistant in the art history program. 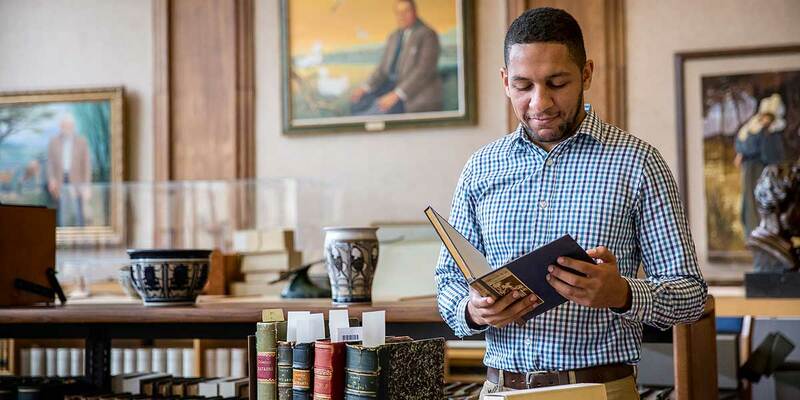 His current assistantship is with the exhibitions department of the LSU Libraries’ Special Collections. This additional opportunity proved to be an excellent experience in his chosen field of study. Since the fall of 2015, Glauco has been assisting in the research and development of exhibitions curated from documents in the university’s archival holdings. For example, he contributed to the current exhibition, Advancing Scholarship and Learning for 80 Years: LSU Press and the Southern Review. The goal of the show is to draw attention and to celebrate the history of the university press, highlighting its contributions to the literary and academic world. A forthcoming publication also called for a close collaboration between Glauco and his academic advisor. Both wrote essays for an LSU College of Art & Design publication on painter Janice Sachse, one of the university’s earliest art alumnae and an important Louisiana artist. The Graphic Design Student Office is designing a book on Sachse’s work for an exhibition this spring at the Glassell Gallery at the Shaw Center for the Arts in downtown Baton Rouge. Glauco has been instrumental in guiding the project from inception to completion: he researched the artist’s life, wrote a biographical essay for the book, and coordinated the photography of the artists’ works with Randi Willet, an MFA photography candidate in the LSU School of Art. After he graduates in May 2016, Glauco plans to further his education by pursuing a PhD in art history. Learn more about the MA in Art History at LSU at design.lsu.edu/art/programs/art-history.